Nicholas “Nick” R. Seifert, age 72, passed away July 10. Loving father of Nick and step father of Heather and the late Nicholas. Cherished brother of Beth, Jim, Mary Beth and Barbara Ann. Caring Uncle of Kristi and Christopher. Dearest friend to many. 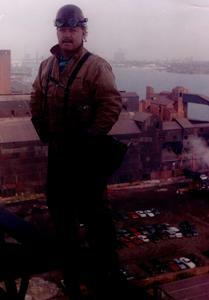 Nick was a proud Veteran of the United States Marine Corps and worked as a business agent and iron worker for Local 25. Memorial Service will be held at a later date. Family asks that donations be made to PETA.